IT staffing services for system architecture, cyber-security, software development, business analysis, project management, and more. With technical recruiting becoming more of a fundamental component for business success, companies need a recruiting partner that understands the necessary skills and experience to build a successful business. Sparks Group works as a strategic partner to identify and place the highest caliber of technical talent for a wide range of industries. Our specialized IT staffing services division assists organizations in attracting, recruiting, and placing qualified candidates quickly for single contract consulting, full-time positions, or a large team of IT professionals for a long-term project. Let Sparks Group assist you with your talent needs! 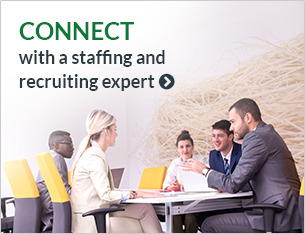 Discover how our staffing and recruiting solutions have helped other organizations achieve their goals! “Having previously served in a leadership role with the US Marine Corps, I truly appreciate the direction that Sparks Group takes with their contractors. They have created an atmosphere of mutual respect and appreciation, which in turn improves performance and retention."